Good morning. Eight days ago, the peace of the Sabbath at the Tree of Life synagogue in Pittsburgh was shattered when an armed far-right extremist, screaming ‘death to the Jews’ went on the rampage, killing 11 people. The first incident of its kind since Jews first began to immigrate to the United States in the 1650s, that horrific attack was also a horrifying sign of the times. Across the Americas and Europe, in particular, we see the resurgence of the far-right, spewing hatred of black and LGBT people, Jews, Muslims and immigrants. We had hoped that the end of the 20th century had seen the end of such atrocities. This year, 11th November marks the centenary of the Armistice, which concluded the First World War. There is also another significant anniversary that immediately precedes it: the 80th anniversary of Kristallnacht, the ‘Night of the Broken Glass’. After five years in which the Jewish citizens of Germany were subjected to a systematic process of legal, economic, educational, cultural and social discrimination that excluded them from German society, 9th November 1938 marked the beginning of the violent persecution of the Jews of Europe that culminated in the Holocaust; what Jews call the Sho’ah, the ‘devastation’. As each year passes, there are fewer people alive who experienced Kristallnacht and the Sho’ah. At Brighton and Hove Progressive Synagogue just two survivors remain, one of whom, Margarete Mendelsohn, has published her account of those years: The Nazis – Through the Eyes of a Child. Margarete will be reading from her autobiography during our special Kristallnacht anniversary programme. If you’d like to join us, you can book in – free of charge – on eventbrite. We have been planning the 80th anniversary Kristallnacht commemoration for months. Of course, we had not planned to hold another commemoration on the preceding Shabbat – just yesterday – in solidarity with the Tree of Life synagogue in Pittsburgh. The past haunts us. The present challenges us. Last Monday, the Sussex Jewish Representative Council organised a vigil for the Jews of Pittsburgh at Hove Town Hall, which was attended by 200 people from across Brighton and Hove. Speakers included a local Imam and a representative of City of Sanctuary. Apparently, the killer targeted the Tree of Life synagogue because of the involvement of the Jewish congregations of Pittsburgh in supporting refugees. That support will continue. The lesson of Pittsburgh and of Kristallnacht is that we must all stand together against hatred and work together to support the most vulnerable and marginal in our society. May remembrance of victims of violence and hatred past and present, inspire us to build relationships of understanding and respect between communities, nations and peoples and to cooperate together to repair the world. On Tuesday evening, I participated in the pre-launch Assembly of Brighton and Hove Citizens UK. Over the past couple of years, Peter Brierley, the community organiser of Citizens UK, based in London, has made regular trips to Brighton forging contacts with local organisations, including local churches as well as our synagogue, with a view to bringing Citizens UK to the city. In February, Peter led a two-day Citizens UK training workshop at the shul with representatives from a number of local organisations, including two BHPS congregants – one, wearing two hats – and me. But Peter stayed in the background at the Assembly. Held at Brighton Table Tennis Club, which is one of the organisations that has taken up the challenge of establishing Citizens UK in Brighton and Hove, the event was skilfully hosted by two young people – a student from Sussex University and a Syrian refugee, who has found his voice as a result of getting involved in the Brighton Table Tennis Club. More of that young Syrian refugee in a moment. Citizens UK organises communities to act together for power, social justice and the common good. We are the home of community organising in the UK, with diverse civil society alliances in London, Milton Keynes, Nottingham, Birmingham, Wales and Leeds. We develop the leadership capacity of our members so they can hold politicians and other decision-makers to account on the issues that matter to them. Community organising is democracy in action: winning victories that change lives and transform communities. Up and down the country, local people do not have an effective voice. The plan for Brighton and Hove Citizens is that the funds pledged by local organisations will make it possible to employ a local community organiser in September, who will then engage in a listening exercise, so that the concerns of local people are brought before the candidates of all the political parties at the local elections next May. One of the people who has helped to get the initiative off the ground is Saul Becker, the new deputy Vice Chancellor at Sussex University. In his previous university posts, Saul has combined his university role with establishing Citizens UK in two cities, Nottingham and Birmingham. How fortunate we are that Saul Becker has moved to Brighton! And he has already achieved key results: Sussex University has pledged £10,000 a year to the fund to pay the salary of the local community organiser and Sussex Student Union has pledged £1500 per year. The target is £30,000. So far, £24,000 has been pledged, and the synagogue council has made the decision to devote one third of this year’s High Holy Day Appeal to Citizens UK, as a first step towards demonstrating our commitment to establishing the initiative in Brighton and Hove. Judging by what local voices have had the opportunity to say as a result of Citizens UK’s work elsewhere, the issues that are likely to emerge in Brighton and Hove encompass the need for a rent-cap on privately rented properties and other housing issues, issues of employment and financial hardship, including the cost of credit, social care, and safe passage for unaccompanied children and vulnerable adults. You could say that since we can probably guess the priority issues for local people in our city, why do we need to go to the expense of employing a community organiser to listen to them and identify their concerns? One of the main factors in the success of Citizens UK so far – which has included the stunning Living Wage campaign – has been, precisely, that it is centred on local people getting the chance to be citizens, to articulate their concerns to those with the power to make decisions – principally, local councillors – and so, have a central role in shaping policy on a local level. There is no doubt that there are a lot of social justice and community organisations doing good work in Brighton and Hove. However, the dimension of coming together to galvanise local people in order to have an impact on the policymakers has been missing. Hopefully, these diverse groups will get on board with the initiative to establish Citizens UK in order to tackle some of the intractable problems in our city. After all, Brighton is not just a trendy, progressive heartland; an oasis of ‘Labour’ and ‘Remain’ voters on the south coast and an attractive tourist destination. One of the items in the programme on Tuesday evening involved another Sussex University student doing a mini multiple-choice quiz with us. One particular fact, struck me very powerfully. The question concerned where Brighton is on the list of cities when it comes to the suicide rate. Is it 10th or, perhaps, 30th? It turns out that our city is third – after Blackpool and Durham. Yes: the third highest suicide rate in Britain is here in Brighton and Hove. There is no doubt that we need Citizens UK in our city. As I said a few months ago, the first task of the local community organiser will be to listen to local people. I’ve just quoted a statistic – one among many. Statistics, by definition, are abstract. To give another example: We are aware that homelessness continues to be significant phenomenon nationwide, but all we hear and see are statistics. When it comes to the local terrain, however, we can see the reality of homelessness on the streets of our city. We can see people and the bundles of their belongings in doorways. In recent weeks, a homeless man has been sleeping on our doorway – here at the synagogue. Thankfully, with the help of Street link, a local organisation that the shul council has chosen as another one of the recipients of this year’s High Holy Day Appeal, he is now receiving help. One of the speakers on Tuesday evening was Craig, who had been on the street for many years. He told us that what kept him going during that terrible time was his creativity, mostly expressed in the poems he composed. He recited one of his poems to us. To hear Craig’s poetic account of his decidedly un-poetic experience was very moving. We need to hear the individual voices of the homeless. We also need to hear the individual voices of refugees. In recent years, the refugee crisis has dominated the headlines, and we have been particularly aware of the conflict in Syria. The news is so overwhelming. How do we make sense of it? Brighton and Hove has been designated as a ‘City of Sanctuary’. This means that ‘refugees are welcome’ here. For the past couple of years ,we have collected weekly donations of non-perishable foods and toiletries for the refugees supported by Brighton Voices in Exile. More recently, we held an all-night study marathon at Shavuot in aid of Thousand 4 1000, another local refugees’ charity – in this case, raising money to house refugees. The thinking behind the name is that for every 1000 people who donate just £1 per month a refugee can be given a home. You can work out for yourselves how many refugees might be housed if 10,000 people donated £2 per month. If anyone has an excuse to give up to say what’s the point, or change isn’t possible it’s me but that’s not what I’m going to do. Maybe when you see me you see a refugee but I ask you please don’t label me. I’m a citizen of Brighton, a member of Brighton Table Tennis Club and a student of Bhasvic. I believe change is possible and change starts with me. What can I do, what can Brighton and Hove Table Tennis Club do and how can I be a part of that. Don’t get me wrong I see what’s wrong with the world, it makes me angry but it moves me to want to act. I’m inspired by the best of the world to believe that we can work towards a better world, a better Syria, a better Lebanon and a better Brighton. Listening to Wassim was very inspiring. After hearing his testimony, we were then invited to take a few minutes to speak with the person sitting next to us to share the issues that resonate with us, and a particular change we would like to make. ‘1-2-1s’ as Citizens UK calls them, are a central feature of the work of galvanising people. The goal of becoming active citizens engaging with and transforming our communities and the society in which we live begins with individuals speaking and listening to one another. Your children shall be wanderers in the wilderness forty years, and shall bear your strayings, until your carcasses are consumed in the wilderness. Now that’s an image! In a sense that fainthearted generation suffered a double punishment: condemned to die in the wilderness, they were also condemned to disappear without trace, their experiences excised from the record, just as their bodies were utterly consumed in that forbidding terrain, as if they had never lived. We cannot relate and transmit the stories of that wilderness-wandering generation during those lost years. But we can and we must tell our own stories and listen to the stories of those who have hitherto been voiceless in Brighton and Hove. Again: Wassim said: “I believe change is possible and change begins with me.” Change begins with each one of us. By working together as citizens of Brighton and Hove, we can ensure that all the diverse voices of those living across our city are expressed – and translated into demands for change. Kein y’hi ratzon. May this be our will. And let us say: Amen. I’m writing to you in the hope that you will help to resolve a problem that until now has proved completely intractable: the conflict between the Israelis and the Palestinians over a piece of land that each people regards as their home. Why am I writing to you? After all, I’m a British citizen, so if I’m looking for help from a government, surely, I should be turning to the British government? But the thing is, the record of British governments on this particular issue isn’t good. In fact, in large measure Britain helped to create the problem. Certainly, in a letter to Lord Rothschild on November 2nd 1917, Lord Balfour asserted that “His Majesty’s Government view with favour the establishment in Palestine of a national home for the Jewish people.” But following the collapse of the Ottoman empire at the end of the First World War, Britain and France divided up the territories between them. Of course, at the time this was only supposed to be an interim situation. But then, in the subsequent decades, the British Mandate in Palestine only served to make matters worse, and when a proposal to partition the land into two states was put before the United Nations on November 29th 1947, Britain abstained. The United States, on the other hand, voted for partition. Despite the UN’s positive vote in favour of two states, the conflict continued, and when the British Mandate came to an end on May 14th 1948, the leadership of the Jewish community in Palestine declared the establishment of the State of Israel. That bold unilateral act precipitated a war, and the fledgling nation was immediately attacked by the neighbouring Arab states. The war continued for two years. When it finally came to an end, the ceasefire line cut Jerusalem in two, with the old city sacred to Jews, Christian and Muslims on the east side of the line. That ceasefire line, known as ‘the Green Line’, effectively established the border between Israel and Jordan. In June 1967, the Green Line was breached, when following the concerted attack of the Arab states, Israel was the victor in what became known as the ‘Six Day War’ (5-10 June). For Israel, victory on the ground, was immediately transformed into a spiritual homecoming, as for the first time in decades, Jews now had access to the Jewish quarter of the old city, and the western wall of the last Temple, which had been destroyed by the Romans conquerors in 70 CE. But the spiritual homecoming was soon overwhelmed in the years that followed by the heavy cost of occupation of the territory beyond the Green Line – a cost borne by the Palestinians, and also by Israelis, as occupation precipitated the development of a campaign of terror against Israel. Why am I telling you all this? You probably know it already. And why you? I mentioned that the United States voted in favour of the UN partition plan in November 1947. Years later, after decades of conflict, including further wars after 1967 and the continuing Israeli occupation of the West Bank and Gaza, it was an American president, who helped broker a peace accord, which brought the two sides together. I will never forget being in my sister, Julia’s home on September 13th 1993, Julia heavily pregnant – she gave birth just over two weeks later – and her two-year-old daughter, Rose, running around the living room, as we sat glued to the TV screen, watching President Clinton facilitate a handshake between Israeli Prime Minister, Yitzhak Rabin and Yasser Arafat, the leader of the Palestine Liberation Organisation. Two men who had been sworn enemies, reaching across the gulf between them with the help of the President of the United States of America. And what a gulf that was: Yitzhak Rabin, a former Israeli soldier, as Minister of Defence at the time had been involved in directing the Israeli military response to the outbreak of the first Palestinian intifada in 1987; meanwhile, as chairman of the PLO, Yasser Arafat had been the instigator of numerous terror assaults, including, the murder of eleven Israeli athletes at the Olympic games in Munich in 1972. A historic moment and cause for celebration. But the rejoicing was short-lived. As we all know that famous handshake on the White House lawn came to nothing. The Oslo Accords of 1993 so difficult to achieve, were shattered one fateful November night in 1995 (4th) with the murder of Prime Minister Rabin by an Israeli fanatic at the end of a peace rally in Tel Aviv. Now, I have to admit when it comes to American politics, my allegiance is with the Democrats rather than the Republicans. I had hoped that Hillary Clinton would become president at the last presidential election, not least because as Secretary of State in the first Obama administration (2009-2013), she had addressed the issue of the on-going Israeli-Palestinian conflict. I had hoped that as president, she would make the issue a priority. So, I am writing to you, Mr President, because you are the incumbent president of the United States. But that’s not the only reason for my letter to you. As president, you have already intervened in the conflict between Israelis and Palestinians, by moving the American Embassy from Tel Aviv to Jerusalem, and so affirming the position of the Israeli government that the whole of Jerusalem is the capital of Israel. I’m sure that you would like to see a peaceful resolution to the conflict, but this is not the way to do it. On the contrary, by moving the American Embassy to Jerusalem you have taken sides – something which previous American administrations have not done – and betrayed the trust of the Palestinian people. But even with the American Embassy now up and running in Jerusalem, all is not lost. After all, you are the president of the United States – and the embassy is situated in West Jerusalem, not in East Jerusalem. In recent months, the world has witnessed a change of heart on your part in regard to dealing with North Korea. Perhaps, you may yet secure a nuclear-weapons agreement and help heal the breach between North Korea and South Korea. That would be a truly historic achievement. And so, Mr President you have an opportunity to do likewise in the Israeli-Palestinian conflict. All you need to do is make it clear that the establishment of the American Embassy in West Jerusalem proclaims the message that West Jerusalem is the capital of Israel, and then declare your intention to establish an American Embassy in East Jerusalem, following the negotiation of a two-state solution in which East Jerusalem becomes the capital of Palestine, with the ancient sacred walled city under joint Israeli-Palestinian governance, supported by a special international body, agreed by both nations. Perhaps, this looks like an impossible dream. But surely, you of all people, never allow yourself to be stymied by what others deem to be impossible. And there’s something else to consider. Watching the television reports of the gathering held at the opening of the new American Embassy, it was clear that there was a strong presence from Christian groups. On the surface, all that this demonstrates is Christian support for the ‘Holy Land’ that was home to Jesus, which seems perfectly reasonable. But the agenda of fundamentalist Christian groups goes way beyond allegiance to the land in which Jesus, a faithful Jew after all, was born, lived and died. The principal reason for their ardent support for Israel is the belief that it is essential for Israel to become the singular home of the Jews, and that it is only when all the Jews of the world have returned to their ancestral home that the Messiah Jesus will return, at which point all the Jews will see the light and convert to Christianity. Now, I’m certain that you don’t subscribe to this agenda, but that doesn’t mean that it is not a real agenda – and a real threat to Israel as a Jewish state. So, Mr President, as a steadfast friend of the State of Israel, there are two very pertinent reasons for you to take steps to help reignite negotiations between the Israeli government and the leadership of the Palestinians: first, because justice demands that finally, the land is partitioned into two states, so that a secure State of Palestine is established alongside a secure State of Israel; second, because the land that is sacred to Jews, Christians, and Muslims is the homeland – the only homeland – of the Jewish people. Home is a place whose walls — borders — are clear and accepted; whose existence is stable, solid, and relaxed; whose inhabitants know its intimate codes; whose relations with its neighbors have been settled. It projects a sense of the future. And we Israelis, even after 70 years … are not yet there. We are not yet home. Israel was established so that the Jewish people, who have nearly never felt at-home-in-the-world, would finally have a home. And now, 70 years later, strong Israel may be a fortress, but it is not yet a home. The solution to the great complexity of Israeli-Palestinian relations can be summed up in one short formula: if the Palestinians don’t have a home, the Israelis won’t have a home either. The opposite is also true: if Israel will not be a home, then neither will Palestine. Where we will live a peaceful and safe life; a clear life; a life that will not be enslaved — by fanatics of all kinds — for the purposes of some total, messianic, and nationalist vision. Home, whose inhabitants will not be the material that ignites a principle greater than them, and supposedly beyond their comprehension. That life in it would be measured in its humanity. That suddenly a nation will wake up in the morning and see that it is human. And that that human will feel that he is living in an uncorrupted, connected truly egalitarian, non-aggressive and non-covetous place. In a state that runs simply on the concern for the person living within it, for every person living within it, out of compassion, and out of tolerance for all the many dialectics of ‘being Israeli’. Because ‘These are the living words of Israel’. … One can dream. One can also admire achievements. Israel is worth fighting for. I also wish these things for our Palestinian friends: a life of independence, freedom and peace, and building a new, reformed nation. And I wish that in 70 years’ time our grandchildren and great-grandchildren, both Palestinian and Israeli, will stand here and each will sing their version of their national anthem. But there is one line that they will be able to sing together, in Hebrew and Arabic: “To be a free nation in our land,” and then maybe, at last, it will be a realistic and accurate description, for both nations. Israel is a fortress, but not yet a home. David Grossman concluded his address with those words. Mr President: Please will you do what you can to make it possible to restart negotiations, so that both Israelis and Palestinians may at last be at home. WHAT’S IN A NAME AND A DATE? NATIONAL HOLOCAUST MEMORIAL DAY AND REMEMBRANCE OF THE SHO’AH. Traditionally, mourning is suspended on Shabbat. And yet, we must pause to acknowledge National Holocaust Memorial Day. The Nazi terror machine was set in motion in 1933 when Hitler came to power, and continued churning out its horrors until Hitler was defeated by the Allies in April 1945. That terrifying time could be remembered on any day in the calendar. So, why 27th January? On 27th January 1945, the Red Army liberated Auschwitz-Birkenau, the largest and most notorious of the Nazi concentration camps that also doubled up as a death camp, and was the site of the murder of millions of Jews and Poles. And so, that date marks the beginning of the end of what the philosopher, Emil Fackenheim referred to as ‘Planet Auschwitz’. 27th January 1945: a date salvaged from the depths of the abyss; edged with hope. The calendar that regulates our lives – and Jews live in two calendars – is full of dates that we tend to take for granted as intrinsic to the annual cycle. The creation of a new date reminds us that every special date on the calendar has a political dimension. The British government chose to mark National Holocaust Memorial Day on 27th January. There was, perhaps, a more obvious candidate: Kristallnacht, ‘the night of the broken glass’ on 9th November 1938. After five years in which the Jewish citizens of Germany were subjected to a systematic process of legal, economic, cultural and social discrimination that excluded them from German society, 9th November 1938 marked the beginning of the violent persecution of the Jews of Europe. Why was this date chosen by the Nazis? Significantly, since 1989, 9th November has also marked a new milestone: the reunification of Germany. This only begs a further question: why was 9th November chosen for German reunification? Before Kristallnacht, 9th November was already a significant date in the German calendar. On that date, in 1848, the execution of liberal leader, Robert Blum, came to be seen as the first step towards the crushing of the German Revolution in April and May 1849. On 9th November 1918, the German monarchy ended when Kaiser Wilhelm II was overthrown. On the same date, in 1923, the Nazi party experienced a setback, and during Nazi rule, 9th November was observed as a national holiday in memory of the Nazis who died in what became known as the ‘Beer Hall Putsch’ of that year. So, the inauguration of violent pogroms against the Jews on 9th November 1938 was not accidental – and it is not surprising that 9th November was chosen as the date for German reunification. Clearly, since 1989, the significance of 9th November in German consciousness as the date of a new beginning for the German people, has effectively trumped the significance of Kristallnacht. And so, since 1989, Kristallnacht has been chiefly marked by the Jewish people. This year, the 80th anniversary coincides with Shabbat, and we will be holding a day of commemoration, concluding with a film screening. I have spoken about two dates for marking the Holocaust. But for Jews there is another date: Yom Ha-Shoah, which unlike 27th of January and 9th November, takes place in the spring, on the 27th of the Hebrew month of Nissan, just a few days after the end of Pesach, Passover, the festival that celebrates the liberation of our ancestors from slavery. Of course, the choice of this date is also political. 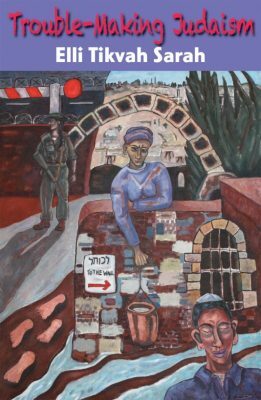 But first, let us consider the name: Yom Ha-Shoah, literally, ‘the day of devastation.’ Reference to sho’ah, ‘devastation’ is found repeatedly in the Hebrew Bible, in particular in the books of the prophets. Sho’ah, is not the Hebrew translation for ‘Holocaust’. Look in the dictionary of Biblical Hebrew edited by Christian Doctors of Divinity, Brown, Driver and Briggs, and first published in 1906, and you will find that ‘holocaust’ is the translation of the Hebrew word, olah, ‘burnt offering’. For Jews, it is inappropriate, to say the least, to speak of the murder of the Jews of Europe as an offering to God. There was nothing ‘sacred’ about the smoking crematoria of the death camps. I mentioned that the choice of date for Yom Ha-Sho’ah was political. After the Sho’ah ended, Jews across the world began to discuss how it might be commemorated – and not surprisingly, Kristallnacht was an obvious choice. In the Hebrew calendar, 9th November 1938 coincided with the 16th of the Hebrew month of Cheshvan. Hebrew months follow the moon, so in the middle of the month, the moon is full, which might explain the memory of all that broken glass which would have been glinting in the moonlight. Interestingly, Cheshvan is the only month in the Jewish calendar that is not marked by any special commemorations, and for that reason the early rabbis dubbed it as Mar Cheshvan, ‘Bitter Cheshvan’, and the month is still known by that name. How appropriate that the Sho’ah should be remembered during a month devoid of other commemoratives dates, and so already experienced as ‘bitter’. But it wasn’t to be. In 1953, the Israeli government established 27th Nissan as the date for the annual commemoration of the Sho’ah. The original proposal had been 14th Nissan, the anniversary of the beginning of the Warsaw Ghetto Uprising against the Nazis, which began on 19th April 1943, on the eve of Pesach, Passover. However, because of its proximity to Pesach, 14th Nissan was not considered suitable by the Israeli rabbinate, so the government settled on the 27th – although for the ultraorthodox, a completely different date was preferred: the 10th day of the Hebrew month of Tevet, which is the anniversary of the beginning of the siege of Jerusalem by the Babylonians in 586 BCE. By the 1970s, the commemoration of Yom Ha-Sho’ah on 27th Nissan had become established throughout most of the Jewish world. So, why did the Israeli government choose the anniversary of the Warsaw Ghetto Uprising as the date for Yom Ha-Sho’ah? Like 27th January, the choice reflects the desire to focus on hope rather than despair. And more than this. On 27th January 1945, the Red Army were the liberators of a remnant of a crushed people. On the eve of Pesach 1943, audacious, defiant young Jews, no doubt inspired by the Exodus, decided to take it into their own hands to liberate their own people. It’s an inspiring story, and until very recently, when visiting Beit Lochamei Ha-Geta’ot, ‘the Ghetto Fighters House’ in the kibbutz in northern Israel, established in 1949 by survivors, you could still talk with a few of those who had managed to escape through the sewage system to join Polish partisans in the woods and continue the fight for freedom. So, since 2000, there are now three major dates for commemoration of the Sho’ah: Kristallnacht, Yom Ha-Sho’ah and National Holocaust Memorial Day. Within this triad, Kristallnacht and Yom Ha-Sho’ah remind us of the particularity of the Sho’ah; that at the heart of the Nazi programme lay Hitler’s determination to wipe out the Jewish people. I will never forget how a rabbinic delegation to Berlin in 2005 to mark the 60th anniversary of the end of the Sho’ah brought that home to me. As part of our programme, we visited the villa on the Wannsee, the lake outside Berlin, where the Nazi top brass had met together in 1942 to work out the ‘final solution’. One of the items in the exhibition was particularly chilling. It was a typed list of the Jewish populations of Europe, with a total at the foot of the page: 11 million. Hitler didn’t quite succeed in hitting that target. Of course, Britain featured on the list, and alongside, a number: 500,000. Only a narrow strip of water, and the courage of British airmen ensured that Hitler did not reach these shores. The Nazis did not invent anti-Semitism. 2000 years of Christian Jew-hatred accomplished that. The Nazis did not invent the fantasy of a demonic Jewish race conspiring to control the world. In 1912 Russian anti-Semites published a notorious anti-Semitic forgery, The Protocols of the Elders of Zion, which continues to be reprinted around the world to this day. The Nazis did not invent the specious notion that Jews are a subhuman race. The development of ‘race science’ in the 19th century gave them all the tools they needed. What Nazism achieved was a further malignant development of racist anti-Semitism with a new project: to make Europe Judenfrei and Judenrein: ‘free of Jews’ and ‘clean of Jews’. National Holocaust Memorial Day has a purpose that it is distinct from Yom Ha-Sho’ah and the anniversary of Kristallnacht. It was inaugurated in Britain in 2000 to acknowledge the enormity and significance of the Holocaust and to acknowledge the genocides that have happened since 1945, and promote educational activities so that children, in particular, actively engage in learning the lessons of the past for the sake of the future. And so, since NHMD was inaugurated, commemoration has also focused attention on the genocides in Cambodia (1975-79), Bosnia (1992-95), Rwanda (1994) and Darfur (2003). It is vital that National Holocaust Memorial Day remains a date in the calendar of this country, enabling people to learn about the specificity of each case of genocide and to understand the social, cultural, political, and economic conditions that make it possible for one group to target another and single them out for destruction. The current persecution of the Rohingya Muslims of Myanmar, which involved the torching of their villages, and has resulted in the exile of 650,000 people, is not only a replay of ethnic cleansing as carried out in the early 1990s in Bosnia, it also has all the hallmarks of genocide-in-the-making, if it is not brought to a halt. When I began I remarked about the complexity of this day of joy and sorrow. Let us remember that Shabbat is more than the weekly Jewish festival of rest and spiritual renewal. The invention of Shabbat by our ancestors over 3000 years ago was a radical response to a hierarchical social structure rooted in a dichotomy between the leisured ruling class that never worked and the enslaved masses, who never ceased. Shabbat, the day of ‘ceasing’, which is what the word means, is a day of freedom, when we commemorate the Exodus and remember that all the slaves must go free. Who is the stranger? Any person, any people, who lives on the margins. In addition to demonising the Jewish people, the Nazis also rejected all groups considered not to fit the Aryan ideal: the Roma, LGBT people, the disabled. The persecution of those considered ‘other’ was not – and is not – just a Nazi crime. All the genocides since the Sho’ah have targeted ‘others’ – those not considers to be ‘like us’. And to this day the hatred of the other continues. Entire peoples are targeted and individuals are targeted. Earlier this month, a 19-year-old Jewish gay man, Blaize Bernstein, was murdered in Los Angeles by a former classmate, in a ferocious attack that was motivated by homophobia. The Torah is read in an annual weekly cycle that begins after the autumn festivals, and as it happens, this year National Holocaust Memorial Day coincides with the reading of the portion that relates the Exodus: B’shallach. That conjunction reminds us that, ultimately, freedom and justice will prevail. Marking National Holocaust Memorial Day on Shabbat also reminds us that for Jews, the celebration of life will always be our priority. The Jewish people is still here today, despite living as a vulnerable minority under a succession of imperial regimes for millennia, despite centuries of Christian persecution, despite the Nazi attempt to wipe us out, because of our determination to live as Jews day after day, week after week, month after month, year after year. The Jewish toast is L’Chayyim! To Life! Today, on National Holocaust Memorial Day, as we lift our glasses of wine and grape juice to celebrate Shabbat, may our toast, ‘L’Chayyim!’ also inspire us to challenge persecution and oppression in every place. And let us say: Amen. On 27th January, it will be National Holocaust Memorial Day; the day set aside by the UK government for annual commemoration of the Holocaust; chosen because 27th January 1945, the date when the Red Army liberated Auschwitz, marked the beginning of the end of the Nazi horror. NHMD was established to ensure that people in Britain remember the Holocaust, acknowledge the genocides that have happened since 1945, and actively engage in learning the lessons of the past for the sake of the future. And so, since it was NHMD was inaugurated at the beginning of the millennium, it has also focused attention on the genocides in Cambodia (1975-79), Bosnia (1992-95), Rwanda (1994) and Darfur (2003). Words can make a difference – both for good and evil. HMD activities could focus on the impact that words had in the Holocaust and subsequent genocides, through propaganda used to incite, through slogans written in resistance, and through memoirs written to record and respond to what was going on. The words that we see and hear all around us today – in newspapers, online, in conversations – the words that we choose to use, all have an impact upon us and those around us. Words are powerful. The usual word used to designate the murder of the Six Million – the Holocaust – is actually highly problematic. If you look up the dictionary of the Hebrew Bible, known as ‘BDB’ because it was compiled by three Christian ministers, Brown, Driver and Briggs, you will find that ‘holocaust’ is the translation given for olah, meaning ‘burnt offering’. From a Jewish perspective, the annihilation of one third of the world Jewish population was not a sacred offering. It is for this reason that the preferred designation is sho’ah, meaning ‘devastation’, found, for example, in Isaiah 10:3. The Torah is composed of thousands of words. During January this year, we will begin reading the Book of Sh’mot, Exodus, and be reminded of the resounding message that the slaves will go free. The words that we read were originally called out, so that people could hear them. Significantly, the Hebrew root, Kuf Reish Alef, means both to ‘read’ and to ‘call’, and the narratives we read in the Torah tell stories in which utterance take central stage. ‘Let My people go that they may serve Me’ (Va-eira, Exodus 9:1), Moses repeatedly proclaims to Pharaoh on behalf of the Eternal Liberator. When, eventually, the newly-liberated slaves walk on dry land through the divided Sea of Reeds, Moses and Miriam sing songs of triumph (B’shallach, Ex. 15:1-21). And then after the liberation, at the beginning of the third month, in the wilderness of Sinai, they stand beneath the quaking mountain, and hear ‘The Ten Utterances’ – aseret ha-dibbrot – known in Christian tradition as the Ten Commandments (Yitro, Ex. 20:1-14). With the Christian festival of Christmas just two days away, this Shabbat, I’m going to talk to you about the connections between the stories of three nice Jewish boys: Joseph, Moses, and Jesus. Of the three, Joseph is the odd one out, since there are no tales about him as a baby – Joseph’s story begins when he it’s already 17 years old. What we read about Joseph also suggests that he wasn’t simply a boy – but I’ll have to leave that for another sermon. Joseph could be considered as the first Jew to make it in the Diaspora. The dreamer who accomplished the survival of Egypt and of his family by taking practical measures to save the people from famine with the help of the Eternal One – who also had another purpose: the future deliverance of their descendants from slavery. Of course, that later deliverance begs some questions. Why did Jacob and his family need to settle in Egypt only for their descendants to be liberated from Egypt centuries later? Just so that they might experience Divine redemption? I will leave you to ponder these questions, as we continue exploring the links between Joseph, Moses and Jesus. ‘Now, behold, the cry of the Israelites has come to Me; moreover, I have seen the oppression with which Egypt oppresses them. / Now therefore, I will send you to Pharaoh, that you may bring My people, the Israelites out of Egypt. So: In the cases of both Joseph and Moses, God’s work is accomplished through human agency. That last phrase is key, so let’s keep it in mind: Jesus is destined “to save his people from their sins.” The Christian Scriptures were originally written in Greek. Significantly, when we translate ‘Jesus’ into Hebrew – Yeshu – we find that it is based on the root Yud Shin Ayin, to ‘save’. The names of two other significant Biblical characters are also based on this root: Joshua – Y’hoshu’a – Moses’ successor, who led the people into the land beyond the Jordan; and the prophet Isaiah – Y’shayahu – who, as we learn in the opening verse of the Book of Isaiah, inspired by a vision – chazon – proclaimed the word of God to the people of Judah and Jerusalem in the days of Uzziah, Yotam, Achaz and Hezekiah, kings of Judah. So, according to the Gospels, conceived by the ‘Holy Spirit’, Jesus is unique – and he also has a lineage: he is a descendant of King David – who was also a ‘messiah’. But King David was a Messiah in the Hebrew sense of the word: mashi’ach, an ‘anointed one’; that is, anointed with the oil of kingship. First: The Messiah was to be born ‘“In Bethlehem in Judea,” they replied, “for this is what the prophet has written: 6 “‘But you, Bethlehem, in the land of Judah, are by no means least among the rulers of Judah; for out of you will come a ruler who will shepherd my people Israel.’” This is a quotation from the Micah, chapter 5, verses 2 and 4. Second: Jesus had to brought to Egypt, so he could come out of Egypt: ‘So, he got up, took the child and his mother during the night and left for Egypt, 15 where he stayed until the death of Herod. And so was fulfilled what the Lord had said through the prophet: “Out of Egypt I called my son.”’ This verse is found in Hosea, Chapter 11, verse 1. Finally: When Herod ordered the murder of the baby boys: 17 ‘Then what was said through the prophet Jeremiah was fulfilled: 18 “A voice is heard in Ramah, weeping and great mourning, Rachel weeping for her children and refusing to be comforted, because they are no more.”’ This verse appears in Jeremiah, chapter 31, verse 15. For the Gospel writers, it is not enough to establish the lineage of Jesus as a descendant of the House of King David, he must also be seen as the fulfilment of the Hebrew Scriptures – which brings us back to the connections between the narrative of the birth of Jesus and the narrative of the birth of Moses. Just as Pharaoh gave orders to kill all the new-born baby boys of the Hebrews, King Herod gave orders to kill all the boys in and around Bethlehem, who were two years old and younger. Both Pharaoh and Herod were motivated by fear. And both of them were outwitted by those commanded to follow their orders: the midwives, in the case of the Hebrew baby boys, and the wise men, in the case of Jesus. But of course, there is a crucial difference between these two narratives. Herod is primarily exercised by the claims about one particular baby boy. As ‘King of the Jews’ himself, he must get rid of any potential contender for his crown; and so, when outwitted by the wise men, he resolves to kill all the baby boys. By contrast, fearing that the Hebrews will become too numerous and pose a threat to Egypt, Pharaoh resolves from the outset to kill all the new-born baby Hebrew boys. Moses was not a special target. And yet, the actions of his mother and sister – unnamed in the story – set Moses apart. Moses wasn’t simply saved from death by the courageous midwives, Moses’ mother and sister ensured his survival. First, his mother made a water-resistant basket, and placed it in the reeds by the river. And then, when Pharaoh’s daughter came down to bathe, Moses’ sister, who had been standing guard to see what would happen, had the initiative to offer to fetch a Hebrew wet nurse – and brought the baby’s mother. And so, Moses survived and thrived in the Egyptian court, suckled by his mother until he was weaned. The next time the Torah mentions Moses’ sister, following the crossing of the Sea of Reeds at the beginning of the exodus from Egypt, she is named – Miriam – and more than that, she is described as a n’vi’ah, a prophet. What did Miriam prophesy? Commenting on Miriam’s designation as a prophet, the sages explained that when Miriam saved her baby brother she had foreseen subsequent developments and his future role in the liberation of the slaves. While, the narrative of the baby Moses provides the back-story of the future reluctant leader of his people out of slavery, the narrative of the baby Jesus, with its echoes of the Moses tale, aims to provide the evidence of his unique status as the one born of the Holy Spirit, destined ‘to save his people from their sins.’ As the account of the life story of Jesus turned out, ultimately, to do this Jesus had to die. In the figure of Jesus, the imperative of redemption is spiritualised. By contrast, it’s not just that both Moses and Joseph are fully human, the redemptive work they do on behalf of God is bound up with the material conditions of life: people need food and the slaves must go free. It may seem rather strange to explore New Testament passages in a Shabbat morning sermon. Perhaps, it should strike us as equally strange that while most Christians are familiar with the Hebrew Bible, which is read in churches, apart from RE lessons in school, most Jews have little knowledge of the Christian Scriptures. Of course, this is hardly surprising, given the long history of Christian persecution of Jews and defamation of Jewish teaching. Nevertheless, in today’s more pluralistic culture and in the interests of greater understanding between Jews and Christians, perhaps the time has come for Jews to read the New Testament – including, the explicitly anti-Jewish passages – and even better, for Jews and Christians to read the Hebrew Bible and the New Testament together. Who knows what Jews and Christians might learn from one another and about our own particular religious traditions by reading our respective sacred texts in each other’s presence. As the other New Year beckons, let us all resolve to take steps towards finding out. And let us say: Amen. Good afternoon everyone. It’s my privilege to welcome you to this special celebration to mark the 50th anniversary of the 1967 Sexual Offences Act that decriminalised sexual acts between two men over the age of 21, in private, and signalled the beginning of a transformation in the lives of lesbian, gay, bisexual and transgender people in Britain. We are very fortunate that Robert Rinder, a criminal law barrister and journalist, known for ITV’s ‘Judge Rinder’, who, dedicated to supporting Jewish charitable causes, has kindly agreed to address us about the legal process that was involved in this landmark decision and the implications of the anniversary. Before Robert Rinder speaks to us, as one of the pioneer LGBTQ rabbis, I have been asked to say a few words. Since the 1967 Sexual Offences Act, legal changes over the past 50 years have resulted in an equal age of consent, equal marriage and transgender people being able to have their birth certificates altered to reflect their new name and gender identity. But let’s not forget: these legal changes only happened because LGBTQ people engaged in a struggle for acknowledgement of our full human rights. I have been speaking about ‘LGBTQ’ people. In the early days, activism took the form of the Gay Liberation Front, founded in 1972 that mostly engaged gay men, on the one hand, and lesbian feminism, on the other. Importantly, as we acknowledge the milestone that was the 1967 Sexual Offences Act, we must also acknowledge the invisibility and marginality of the life of lesbians and of lesbian community until the advent of the Women’s Liberation Movement. It was lesbian feminism in the late 1970s and early 80s that put the ‘L’ into LGBTQ. For lesbians in Britain as in other countries, our struggle for liberation did not have a legal dimension, but without the lesbian feminist challenge to patriarchy, and to what the Jewish lesbian feminist writer and poet, Adrienne Rich called ‘compulsory heterosexuality’, lesbian existence would have remained invisible. Today, we feel the absence of Rabbi Sheila Shulman, Zichronah livrachah, may her memory be for blessing, who died in 2014. In 1982, Sheila and I got together with other Jewish lesbians to form a group where we could talk about being lesbians and Jews. Sheila and I may have stayed living, writing and working within a predominantly Jewish lesbian context, but we both decided to apply to the Leo Baeck College to become rabbis. We did not talk to one another about it. Perhaps, because it seemed such a crazy thing to do! I can’t speak for Sheila, but when I applied to Leo Baeck College, I was determined that ‘Jewish life’ would include my Jewish life, and wanted to help transform Jewish teaching and practice to encompass the lives of all Jews on equal terms. In 1984, Sheila and I were accepted on the rabbinic programme, but in response to the concerns of the college’s two sponsoring progressive movements, we were both put on five years’ probation. We would not have made it through without the superlative support we received from our rabbinic mentors and teachers, including, Rabbi Lionel Blue, Zichrono livrachah, my tutor and ordaining rabbi, who died in December last year. Today, we feel the absence of Lionel, the first Jewish LGBTQ rabbinic pioneer. Lionel, who was a lone gay rabbinic student in the early days of the Leo Baeck College, knew all about life as a gay man prior to 1967. In 1981, Lionel shared his unique wisdom and insights, when he addressed the Gay Christian Movement on ‘Being Godly and Gay’. During the past thirty-six years since that watershed moment, the vocabulary of sexuality and gender has expanded and rainbow Jews have come out of the ghetto. Today, 20% of the combined progressive rabbinate in Britain is LGBTQ, and alongside Civil Marriage equality, LGBTQ Jewish couples can now marry under a chuppah in Liberal and Reform synagogues – and those in mixed relationships can have a blessing ceremony in Liberal shuls. Let us acknowledge today that these changes within the progressive movements in Britain began with the pioneering steps taken by the Leo Baeck College, which, providing exemplary leadership in the British Jewish community at that time, became the first rabbinic college in the world to train and ordain LGBTQ rabbis. To mark this special occasion, you may wish to express your appreciation for the leadership provided by Leo Baeck College, by making a donation to endow two new faculty chairs: a chair in The Public Engagement in Progressive Judaism in honour of Rabbi Lionel Blue and a chair in Jewish Feminist Theology in honour of Rabbi Sheila Shulman. My words of introduction today would not be complete without mentioning two other pioneering Jewish institutions. Beit Klal Yisrael, the synagogue founded by Rabbi Sheila Shulman and a group of friends in 1990, led and nurtured by Sheila with love for so many years until ill-health overcame her, continues to demonstrate what it means for a congregation to be truly inclusive. The Jewish Gay and Lesbian Group, founded in 1972 as the Jewish Gay Group, is the oldest of its kind in the world. A few lesbians, including me, discovered the Jewish Gay Group in 1987 after attending an international conference of Gay and Lesbian Jews in Amsterdam. At that time, it was a male-only enclave. But before long, we managed to make space for ourselves and get ‘lesbian’ added to the name. I feel very proud to have led JGLG’s monthly Erev Shabbat services from those early days, joined in 1992 by Rabbi Mark Solomon, a refugee from the United Synagogue, who then went on to make an important contribution to the inclusion of LGBTQ Jews within Liberal Judaism. Since that time, JGLG has been blessed by a host of rainbow rabbis – and also, by the leadership of Peggy Sherwood, who became a committee member in 1997 and was President from 2000 through 2015. Single-handedly responsible for ensuring the continuing presence of lesbians in JGLG, it has been a delight to see Peggy recognised for her outstanding contribution by being honoured with an MBE in the Queen’s Birthday Honours list. Mazzal tov, Peggy! Over the years, JGLG/JGG Erev Shabbat gatherings have been hosted by North Western Reform Synagogue, Liberal Judaism’s Montagu Centre, and are currently held here at the LJS. Baruch Attah, Adona,i Eloheinu, Melech ha-olam, shehecheyyanu, v’kiy’many v’higi’anu la-z’man ha-zeh. Blessed are You, Eternal One, our God, Sovereign of the universe, who has kept us alive and supported us and enabled us to reach this time. And let us say: Amen. This week, the cycle of Torah readings turns to the stories of our ancestors, beginning with the tales of our first patriarch and matriarch, Abraham and Sarah, related in parashat Lekh L’kha, which spans chapters 12 to 17 of the Book of Genesis. My first sermon was on this portion on 26th October 1985, 11th Cheshvan 5746, at Radlett and Bushey Reform Synagogue, which was led at that time by my first rabbinic mentor, Rabbi Barbara Borts. I had been teaching 10 and 11-year-olds there since the summer of 1984, and I also served as a junior warden. The Eternal said to Avram: Go for yourself from your land, and from your kindred, and from your father’s house, to a land that I will show you. Interestingly, after mentioning the journey from Charan to Canaan in the next verse –in one single verse – we read at verse 6: ‘Avram crossed over into the land’ – Va-yavor Avram ba-aretz. From the time that Abraham and Sarah made that first journey, we have been, as our original name tells us, the Hebrews, Ivrim, the people forever crossing over borders – from the Hebrew root, Ayin, Beit Reish to cross over or to pass over. But this is a generalising statement. That first challenge was not presented to a people, but rather to an individual: Lech-l’cha – ‘Go’, singular, ‘for yourself’, singular. It’s one of the central paradoxes of Jewish existence that for all the emphasis on the people, on the community, the challenge of living as a Jew is directed to each one of us as an individual. And when I say the challenge of living as a Jew, I don’t mean the challenge of keeping the mitzvot, the commandments, both ethical and ritual. Doing Jewishly, is of course, at the heart of living as a Jew, but much more fundamental, living as a Jew is about taking the gift of our own lives seriously, making our lives matter, being prepared to step out of our familiar surroundings and begin our life’s journey anew. We are reminded of this challenge, of course, each year when we observe yamim nora’im, the Days of Awe from Rosh Ha-Shanah through Yom Kippur, as we did just a few short weeks ago. Of course, beginning again is not something that most of us are able to do habitually, which is why that annual reminder is so important. But for most of us there are moments in our lives, when we are challenged to go for ourselves because in a very deep sense our life depends on it. Based in Brighton, I am an independent writer and teacher. I hope you enjoy exploring my website. I have been writing fiction for some years now, and for one or two reasons I’m keen to put it out into the world sooner rather than later. So, on this website you will find a selection of my short stories and poems, and also two novels and a story for older children which you can download to a Kindle or iPad. I will continue adding to the website – more short stories and poems, and possibly my third novel, which I am currently revising. I trust that, having read the pieces on these pages, you’ll want to return to the site. New material will be added every three months or so: do check the site from time to time – and send the link to anyone you think might be interested. Alongside this remarkable statement, you will also see a wonderful photograph of Joanna: a bright beret adorning her dark hair, wrapped in a purple coat and a bright pink scarf. Jo loved wearing vivid, vibrant colours. She was vivid and vibrant to the end. On Joanna’s website, you will find novels and books of poetry. You will also find speeches, including the ‘Sacred Spaces’ speech she gave at Wellington College, where she used to teach, and where her husband, Anthony, was the Headteacher for ten years after they left Brighton College. In addition to her creative writing, Joanna was also determined to complete the biography of her father, Maurice Pappworth, a doctor, who was a pioneer in the field of medical ethics, and whose controversial book, Human Guinea Pigs, published fifty years ago, in 1967, exposed the unethical dimensions of medical research. Joanna’s biography, entitled, The Whistle Blower, is just about to be published. The world of Torah is not a fairy tale world of epic proportions, full of superheroes and their exploits. When we read the Torah, we learn about ordinary human beings; and we are reminded about ourselves. In that sense, the Torah does not reprimand us by presenting us with a past that we cannot live up to; it reassures us – and it inspires us, too. After all our ancestors may have been ordinary, complicated human beings – with their virtues and failings, triumphs and disappointments – but through it all, they remained extraordinarily optimistic – they never stopped striving; they never reached the point of giving up on God. And their example makes it difficult for us to relinquish the struggle too – and the spirit of hope embedded in it. Rereading my words, I am struck by the consistency of my message over all these years! And yet, I have journeyed and changed. That is another paradox: we continue to be who we are through all the twists and turns of our lives, but as we journey on, we become stronger, and, hopefully, wiser. The only sure way of losing ourselves is by making strenuous efforts to stay in the same place. May each one of us find our own ways of stepping out, day after day, into the wilderness of life. And let us say: Amen. This year, the month of October starts the day after Yom Kippur. So, the Days of Awe – yamim nora’im – are behind us, and the season of our rejoicing – z’man simchateinu – is about to begin. With Sukkot, just five days after Yom Kippur, traditionally, one begins erecting the sukkah immediately after the fast goes out. This year, with Yom Kippur falling on Shabbat, Sunday will be the perfect day to start sukkah-building! Sukkot is a complex festival. The first rabbis referred to it as z’man simchateinu because the Torah teaches that ‘You shall rejoice – u’s’machtem – before the Eternal your God seven days’ (Emor, Leviticus 23:40). In the days of our agricultural forebears, it marked the last harvest of the year and so was also known as Chag Ha-Asif, ‘Feast of Ingathering’ (Ki Tissa, Exodus 34:22). So, Sukkot is a time to celebrate the fruits of the land. As we remember our ancestors’ 40 years of wilderness wandering (Lev. 23:43), it is also the time for acknowledging the fragility of life and our dependence, both, on the Eternal, and more immediately on the elements: too much rain and the crops become waterlogged; too much sun and they are scorched. And so, the sukkah, with its spaces in the s’khakh – the covering of branches – does not offer complete shelter. Just as life is transient, so the sukkah is temporary and insubstantial. Just as life brings hardship and pain as well as blessings, so the sukkah is, both, open to the storms, and a locus of celebration. And as we take the lulav in our hands – the etrog, (large lemon-like fruit), the palm branch, three myrtle twigs and two willow branches – to ‘rejoice’ in the festival (Lev. 23: 40), we also waive it eastwards, southwards, westwards and northwards, towards the sky and towards the earth, in acknowledgement of the world and the vast universe beyond. Since the synagogue does not have an outside area, everyone is invited once again to Jess’ and my home to waive the lulav and sit in the sukkah on Erev Sukkot, Wednesday, 4 October at 7 PM. We will also eat together, so, please bring a vegetarian or permitted fish dish and/or desert to share. On the last day of Sukkot, there will be another shared meal – again with our edible contributions – this time at the synagogue on Wednesday, 11 October at Noon, when there will be another opportunity to waive the lulav. In Temple times, the autumn festivals period concluded with Sh’mini Atzeret, the ‘Eighth [day] of Closure’, following the seven days of Sukkot (Lev. 23:36). The fixing of the calendar at the time of the sage Hillel II in Babylonia, around 360 CE, led in time to the reading of the Torah in an annual cycle, and the addition of a new festival, Simchat Torah, celebrating the completion of the cycle each year. So, at Simchat Torah, we read the last parashah, V’zot Ha-b’rakhah, which recounts the death of Moses, and then the first parashah, B’reishit, which opens with the creation of the world. Within Progressive Judaism – that is, the Liberal and Reform movements – Simchat Torah is marked on Sh’mini Atzeret, and not on an additional day. At Simchat Torah this year, we will be honouring two individuals in recognition of their contribution to the life of the congregation. David Selo, who offers his services as a warden, has become one of the anchors of Open Wednesdays, and represents the congregation at the Board of Deputies, will be our Chatan Torah, ‘Bridegroom of the Torah’. Our Kallat B’reishit, ‘Bride of the Beginning’ will be Leslie Burns, who for several years has taken responsibility for the shul’s PR, including Facebook and Twitter, and who, until recently, for several years, was responsible for the weekly E-bulletin. The service will begin at 6:30 PM on Wednesday, 11 October, and will be followed by kiddush. As usual, we will be unwinding the entire scroll around the synagogue after we read from the last portion, and then roll it back to the beginning again. To do this, we will need plenty people to hold it up – so do come along and share in the fun! April: So full of hope. In Jewish terms, the liberation from slavery and the birth of the Jewish people, celebrated at Pesach. Interestingly, having mentioned this Simon and Garfunkel song, at Pesach, we read Shir Ha-Shirim, ‘Song of Songs’, one of five books of the Bible set aside for recitation at particular times in the Jewish year, which happens to be a pastoral idyll of springtime love. After the raptures of spring and early summer, Simon and Garfunkel infuse late summer with a spirit of melancholy: ‘August, die she must’. Of course, every child knows that melancholy feeling as summer ends and a new school year hovers on the horizon. As it happens, the latter part of the summer is also a sad time in the Jewish calendar, which includes a three-week period of mourning, from the day that the Babylonians breached the walls of Jerusalem on 17th Tammuz 586 BCE through the destruction of the Temple on 9th Av – Tishah B’Av. But then, strikingly, Jewish time departs from the seasonal cycle. Yes, ‘the autumn winds’ may ‘blow chilly and cold’, but with the new month of Elul, the prospect of autumn brings new hope as the Jewish people turns towards renewal. It may be completely counterintuitive, but instead of inviting us to get ready to batten down the hatches for the winter, Elul invites us to reflect on our deeds over the past year, and to engage in cheshbon ha-nefesh, an ‘accounting of ourselves’, of what we have and have not done, with a view to renewing our lives and our relationships. Of course, if we take up the invitation we are in for a challenging and demanding time, but the goal of renewal can help to spur us on. And so, as the seventh month of Tishri begins with Rosh Ha-Shanah, ‘the head of the year’, a day of remembrance and judgement, we also eat apple dipped in honey in the hope of shanah tovah u’m’tukah ‘a good and sweet year’ ahead. There is so much wisdom in this approach to the cycle of the year. Just as the season turns, and death beckons for the natural world, Jews, individually and collectively, turn towards new life.